We repair & restore your home from water damage. Houston TX is prone to flood damage, especially during hurricane season. As Houston, Texas grows the infrastructure is less able to handle floodwaters. There are many water removal and cleanup companies, so we understand how overwhelming the decision can be to choose who is best for the job. At PLM Remodel and Restoration, we provide our customers with complete flood damage cleanup services, home repair, and a comprehensive examination of the destruction in order to ensure the highest quality home renovation and repair in Houston. We value our customer’s feedback, and we rely on word of mouth, so customer satisfaction is our top priority. We are more than a water restoration company; we also handle all communication with the insurance companies so you don’t have to. We don’t get paid until you get paid, so getting you fair value for your water-damaged home and belongings is another priority. 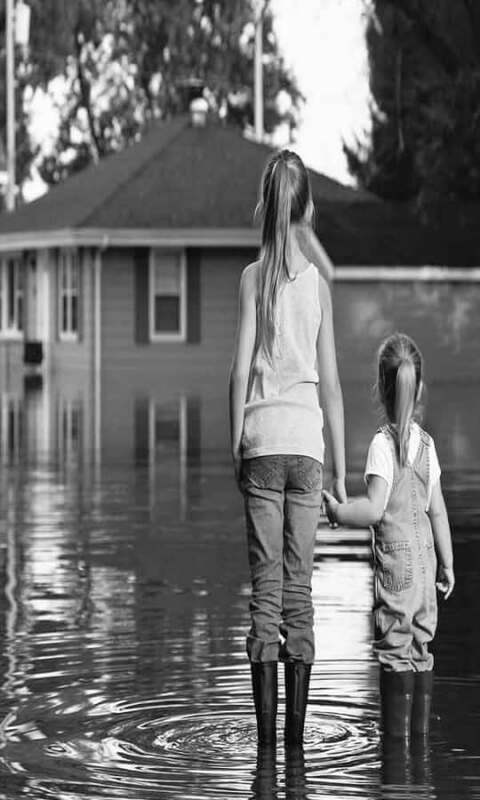 Remember: Water has a way of seeping in, even if you aren’t in a flood zone. Whether the damage is from a major hurricane that caused extensive flood damage, like Harvey, or the tiniest leak, the damage caused by water reaches well beyond what the naked eye can see when it comes to this kind of home devastation. It is important that the water damage company you choose is completely knowledgeable and precise in their services. One missed puddle hidden under a tile can cause tens of thousands of dollars more and some water damage cleanup companies don’t have the time or the manpower to safeguard against these kinds of mistakes. At PLM, we are fully staffed and ready to tackle the needs of your home—no matter how big or small. 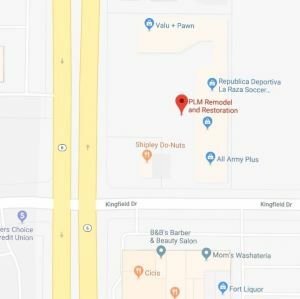 If you are in Sugar Land Tx, Katy Tx, Cypress Tx, Spring Tx, or Houston Texas, PLM Remodel and Restoration is the water damage contractor with fast response to begin the process. We extend our water damage repair services to Houston and all surrounding areas. Remove the excess water from your home safely. Then, using protective gear, we dispose of it as to ensure no transmission of germs or diseases. Many people don’t realize how many bacteria and waterborne diseases lay dormant in the areas where water hides. Once the water is disturbed, those germs can become toxic, which is just one more reason to act promptly with the home restoration. Strip, seal and restore any surfaces including floors, walls, and ceilings. Also, we clean floors and carpets, which do not require replacement, making them just as good as new floors. Where necessary, we will restore your floor and walls to the bottom layer to make sure there is no water hidden anywhere, which could later cause mold growth. Bring your property back to perfect and pristine condition, including repainting, reconstructing, and replacing any damaged areas. Mold is a microscopic organism that flourishes in any dark, damp environment. Though mold is important to the ecosystem, it is hazardous to humans and many living things. Within one to two days, mold can begin thriving in an area that has seen moisture. The spores begin reproduction immediately, causing toxins to move through the air. For a lack of better words, mold eats away the organic material on which it lives, causing the destruction of whatever it grows on. It spreads by latching on to adjacent, organic material, creating fast-paced deterioration. This is just what it does to your home and possessions. This is why it’s so important to utilize mold remediation as a part of your disaster restoration plan. Mold is also capable of causing severe harm to the human respiratory system as well as damage to the epidermis. It can also cause long-term health problems. This problem will persist until the source of the problem is removed. Many homeowners think they can take care of this by themselves to save money, but the truth is, in the end, they spend more money because too much time has passed and they did not rectify the situation properly. At PLM Remodel and Restoration we dedicate ourselves to serving our customers. We know how frustrating it is to be uprooted from your home; we get how unnerving it can be to have strangers in your home, and how stressful it can be to worry about finances. No one wants to go through the damage caused by water, but the key to saving worry, money, and your home lies in timing. The quicker you act, the more confident we are that you won’t lose everything. Other water damage companies may take their time getting back to you, but at PLM, we return phone calls within 24 hours and have someone at your home by the very next day. The key to avoiding black mold is acting quickly, and that’s what we do. Take a moment to consider the health risks, the risk of losing your valuables, and the amount of stress ignoring the situation will bring. It just isn’t worth the worry. Call us at(832) 593-9500 to schedule an appointment with one of our highly skilled professionals. Don’t let water damage come between you and a happy, stress-free life.